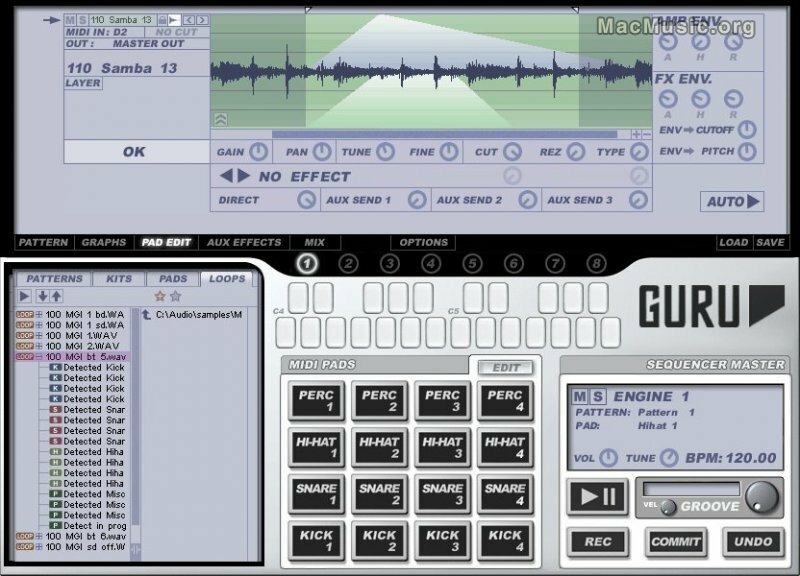 FXpansion has released GURU v1.1.259 for Mac OS X Universal Binary. - Improved drag & drop MIDI export (all Graphs are now exported to MIDI). - Improved loop slicing, score extraction and loop playback. - Support for the latest OS versions and plugin technologies:- Pro Tools 7.3, VST 2.4, OS X 10.4.8, etc. - Volume control for auto-preview. - Export pad audio files via drag and drop. - Tighter sync in various hosts.